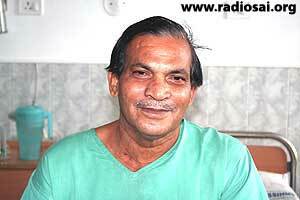 and gave him a new lease of life in His Hospital, in Whitefield, Bangalore. To access all the previous issues of Healing Touch, please click here. Bhagavan Baba’s Super-Speciality Hospitals are generally seen as beacons of hope and succour mainly for the poor and needy, for whom tertiary medical care remains an unachievable dream. While His Super-Speciality Hospitals in Puttaparthi and Whitefield, Bangalore are primarily geared to serve such a clientele, they remain open to everyone at no cost. The system is entirely cost and barrier-free. It discriminates against no one on any grounds, be they economic, religious or cultural. In the past issues of H2H, we have profiled patients who represent the majority of those treated at Sai Hospitals, namely patients who are financially disadvantaged. Yet, a new trend is emerging where even patients who can afford paid treatment in other private hospitals are switching in favour of the Sri Sathya Sai Super Speciality Hospitals. Why would anyone forego treatment in reputed and branded hospitals in big cities when they can afford it, in favour of a Sai Hospital far from home? In this issue, we feature a civil servant who could easily access quality tertiary medical care close to home and family but chose the Sai Healthcare system instead. Fifty six year old Salil Kumar Sarangi hails from the town of Dhenkanal, the district headquarters of Dhenkanal district in the state of Orissa, in north-east India. Born into a farming family, he rose to the position of Deputy Collector of Dhenkanal district in the state government, thanks to his hard-work, sincerity and determination. Today, he holds an impeccable record as a civil servant of 25 years. Baba came into his life almost 30 years ago. While walking through the bazaars of the city of Kendrapara in search of a picture of God for his daily worship, his eyes fell upon the picture of Bhagavan Sri Sathya Sai Baba. He felt a strange attraction towards His form and was drawn towards Swami’s enigmatic appearance. He bought the picture and gave it a special place on his altar. After this incident, he came to know about the wondrous life and teachings of Baba, which swiftly became an integral part of his life - and continue to guide him even today, 30 years later. "I can narrate so many incidents, all of which go to show His ever-present grace. Even after 30 years, His picture on my altar is still in good shape, which is in itself His miracle!" he says jubilantly. 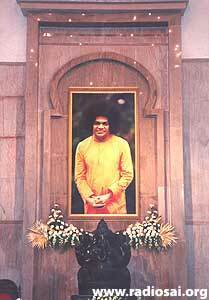 Although he has known Baba for 2 decades by then, he paid his first visit to Puttaparthi in 1997. The holy vibrations of Swami’s glorious darshans had far-reaching effects on him, one of which was that he turned vegetarian soon after this trip to Parthi. Soon after, he was selected from amongst many of his colleagues to be promoted to the Orissa State Administrative Services (OAS) Cadre, the state equivalent of the prestigious Indian Administrative Services (IAS). While he could have accessed tertiary healthcare with the financial aid available to him, he realized that no amount of money could buy him access to a healthcare system that combined the highest levels of professionalism with divine love and the sacred spirit of selfless care — the most therapeutic environment for someone faced with serious health challenges. Once declared out of danger, Mr. Sarangi applied to the government for a transfer to his home district, where he would be more comfortable. In consideration of his commendable service record, the Chief Minister issued special orders to effect his transfer. It was sheer grace of God that Mr. Sarangi came to know of the Sai Hospitals and the services they offer at no cost to patient. He has two children, the elder daughter pursuing her Ph. D in Physics in the Jawaharlal Nehru Centre for Advance Research Sciences in Bangalore, and the son studying an electrical engineering course in Orissa. He recalls Baba’s ever-present grace on his family and recalls how his daughter obtained admission in the Ph.D programme in Bangalore. "It was in 2004. Baba was in Whitefield. We both had gone to the Brindavan Ashram seeking His blessings. It was an undeniable sign that after she had His darshan and took the exam, she cleared the test effortlessly and obtained a seat in the Ph.D. programme. No doubt she is a bright girl, but I firmly believe that being good at studies is also purely Baba’s Grace, is it not?" It was a former student of Baba’s University, studying with his daughter, who informed him about the Sathya Sai Super Speciality Hospitals, and after hearing of their vision and mission, he was convinced that only Swami’s own doctors and nurses should help him in his time of need. So he came to the Whitefield hospital and was thoroughly impressed by the care given to the patients by the doctors, nurses and support staff. Today, he strongly feels that there is no need for family members to act as patient attendants. Their presence in this loving environment is entirely redundant! Driven by such an altruistic vision, Sai Hospitals experience divine interventions regularly, safeguarding the patients’ well-being and Mr. Sarangi was no exception: He recalls with a deep sense of gratitude the miraculous event preceding his surgery. He was found to have high blood pressure and a raised glucose count when he was admitted to the pre-operative ward, and because of this the cardiologists and the cardiac surgeons were hesitant to perform surgery on him the following day. Mr. Sarangi recalls the uncertainty looming that fateful night, "I knew that the surgeons would not operate on me unless my BP and glucose levels returned to normal levels. 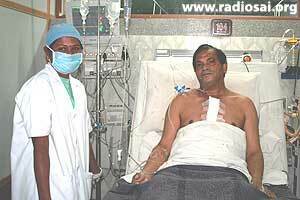 Before I slept that night, I fervently prayed to Baba for His blessings and sought His help for a smooth surgery. Wonder of wonders, both the readings turned out absolutely normal on the morning of the surgery!" The surgery went off as scheduled and his recovery, by Baba’s grace was uneventful. Dr. Anil Kumar Mulpur, the Head of the Department of the CTVS (Cardio Thoracic Vascular Surgery), who operated upon Mr. Sarangi recalls, “Mr. Sarangi was unusual in his presentation. He developed myocardial infarction early this year as a consequence of which he developed a left ventricular transmural infarct, where the whole ventricular wall is damaged. This wall can give way any time and the patient could die all of a sudden. In rare cases, the overlying pericardium contains the damage and over a period enlarges and develops a pseudo aneurysm. Here, there is a false cavity outside the heart and his left ventricle communicates with this false chamber. He also required coronary artery bypass grafting. We needed to combine these two procedures. The operation is not a usual one. “I was very impressed with his faith and mental make-up. His operation, though complicated, went on smoothly like a song, of course, due to the infinite grace of Bhagavan Baba. There were three rents in the left ventricle communicating with the false cavity. These were covered with autologous pericardium and this was followed by coronary artery bypass grafting. He made exceptionally smooth post-operative recovery due to his unwavering faith and is on his way home. “Faith makes a lot of difference in any patient and he is one such example. This complicated operation was a team effort and it is very gratifying to see him literally fly through the operation. I am reminded of Swami’s saying that God will administer His grace like a dose of morphine, allow you to go through the karma and with His infinite Grace, one does not even know that it is all over! One can't help being touched by the impact the Hospital has made on Mr. Sarangi, who now plans to offer his services at Baba’s Institute after his retirement in a couple of years. "It is my fervent desire and prayer to Baba that I should be allowed to offer my services at this Hospital in an honorary capacity.” Mr. Sarangi’s humility clearly comes through when he says, “I am ready for any type of duty. I do not have the feeling that since I have been in Administration, I should be given an office job. No, I want to serve Him, in whatever capacity it may be." While recuperating in the post-operative ward of the Hospital, Mr. Sarangi has already been playing the role of a Public Relations Officer, educating people about the Hospital! He recounts an incident concerning a patient whom he overheard telling another person that in Baba’s Hospital delays in performing procedures were inevitable, as it was an NGO! “I explained to this patient the differences between Baba’s Hospitals, which is run on unsolicited donations and NGOs, which receives substantial grants from the Government. The patient regretted his comments and prayed to Baba. Soon afterwards, he found out his surgery had been scheduled shortly and he was completely cured! 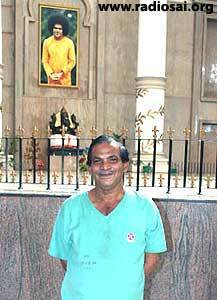 While South Asia’s poor, illiterate and uncared for masses seek absolutely free tertiary care at Sri Sathya Sai Baba’s Super-Speciality Hospitals due to their unfortunate circumstances, the educated, well-to-do patients like the civil servant Mr. Sarangi seek the system in spite of their financial viability. They are fully aware that nowhere in the world can they find this fine balance of the state-of-the-art facilities, world-class medical professionals and the divine energy that fuels the entire system. 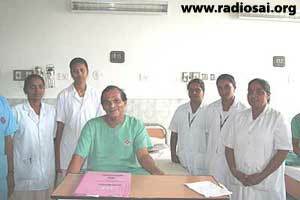 While South Asia’s poor, illiterate and uncared for masses seek absolutely free tertiary care at Sri Sathya Sai Baba’s Super-Speciality Hospitals due to their unfortunate circumstances, the educated, well-to-do patients like the civil servant Mr. Sarangi seek the system in spite of their financial viability. They are fully aware that nowhere in the world can they find this fine balance of the state-of-the-art facilities, world-class medical professionals and the divine energy that fuels the entire system. For the self-aware, educated patients, the draw to the system is the men and women behind the machines who matter more, and most importantly, their selfless inspiration, Sri Sathya Sai Baba, who motivates them to deliver the care with love and humility. The Sathya Sai Healthcare system proves that money can undoubtedly buy many things but pure and unconditional love, divine protection and genuine warmth are not among them. These life-affirming values flow freely alongside the sacred name of Sri Sathya Sai Baba, the singular, most potent and purest presence on the face of the planet in its history. His healthcare system is one of the many humanitarian projects going on silently around the world that offer compassionate care to millions. Despite the enormity and the profundity of His mission, the system focusses on delivering holistic care with full focus on the well-being of each patient, thereby transforming one heart at a time. The by-pass happens at various levels. The surgery involved in open-heart procedures being a misnomer and the most superficial of them all! As exemplified by Mr. Sarangi, while the physical heart may start pumping the blood more efficiently after the complicated procedures, it is the spiritual heart that experiences the gush of love energy, ensuring the cure at a deeper level. Dear Reader, did this article inspire you in any way? Would you like sharing your feelings with us? Please write to us at [email protected] mentioning your name and country. Thank you for your time.